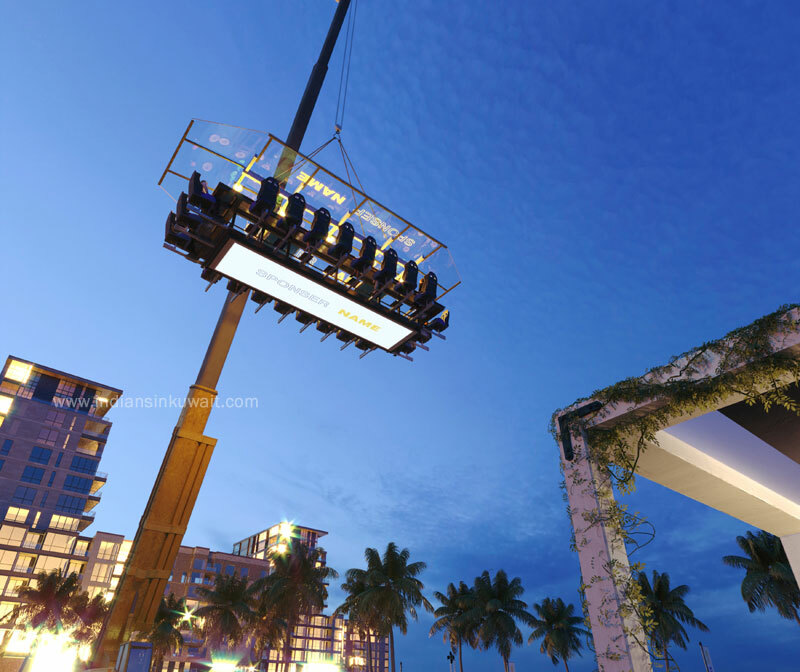 Hawalli municipality has suspended activities of hanging restaurant in Salmiya which was in violation of safety conditions and had not obtained necessary license from concerned authorities reports Alqabas daily. Earlier, a Belgian based company which uses a crane to raise its diners and chefs up into the air started its operation at Salmiya Marina Crescent and they’re offering a bunch of different packages which includes Tea Break for KD 30, Lunch/dinner for KD 50, Lunch/dinner with live music for KD 60 etc as per their website. However as per Municipality, lifting people in the air in the name of hanging restaurant by using construction crane is a primitive way which endangers lives of people who avail this service.